The Red Dead drama is over between Take-Two Interactive, Rockstar, and the Pinkertons. 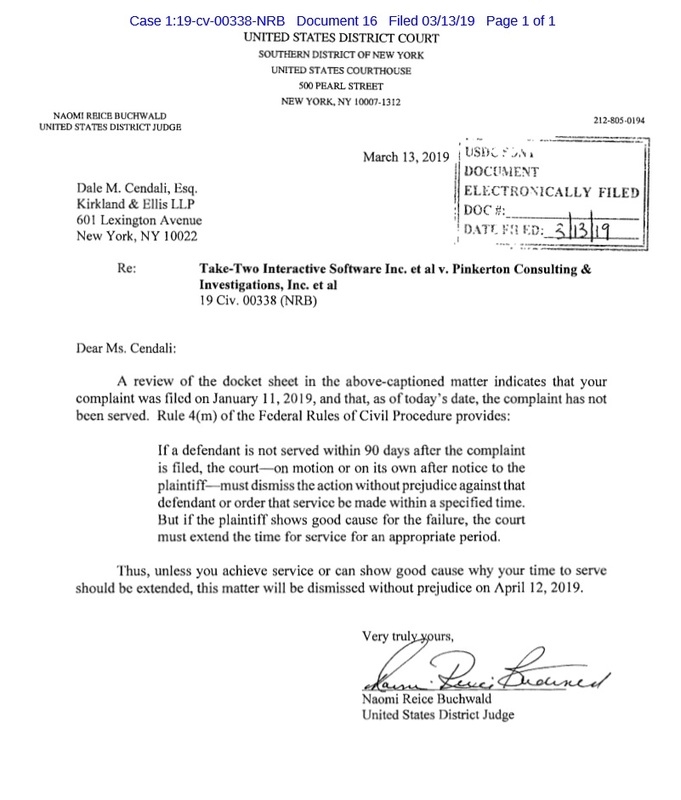 In January, Pinkerton Consulting & Investigation sent a cease and desist letter to Rockstar and its parent company Take-Two over the use of the Pinkerton name and likeness in Red Dead Redemption 2. 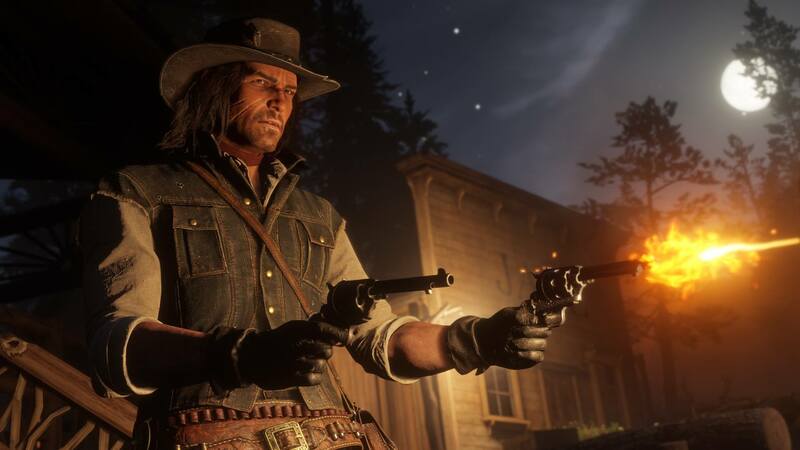 In retaliation, Take-Two immediately filed a lawsuit requesting a declaratory judgment under the grounds that Red Dead Redemption 2's inclusion of the Pinkertons falls under fair use that's rooted in historical accuracy. 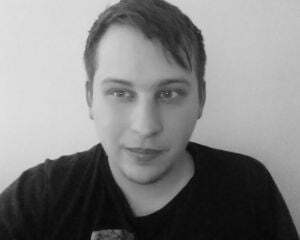 That has come to an end, as both sides have seemingly agreed to go their separate ways. Take-Two and Rockstar have filed a Notice of Voluntary Dismissal, which closed the case that was ongoing in one of New York's United States District Courts. While the Pinkertons never formally sued Take-Two and Rockstar, it's assumed that the cease and desist (and the associated demands for royalties or a lump sum payment) has also been dropped. What's interesting is that, after looking through the filed documents, it's fairly obvious that neither side actually wanted to litigate this case. 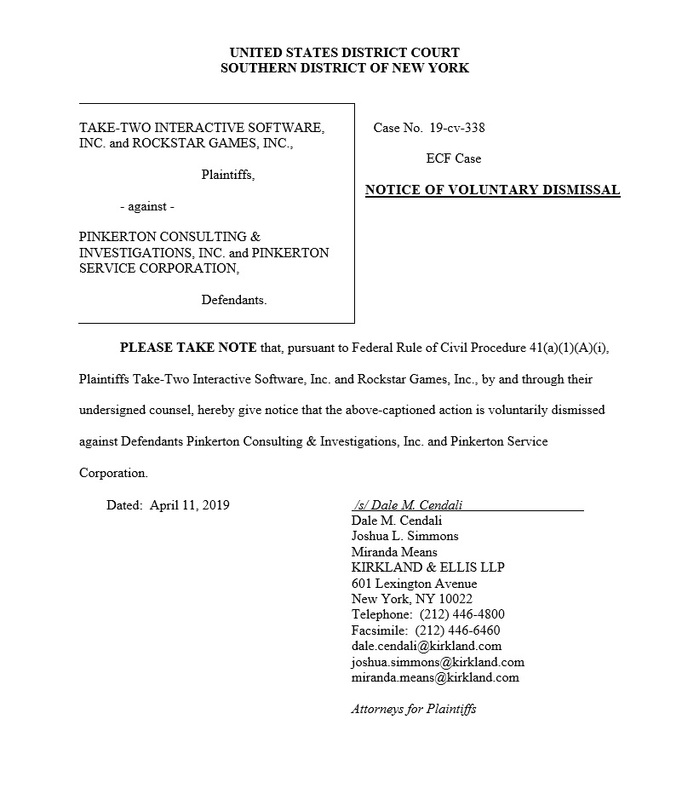 In March, the assigned judge filed a boilerplate letter instructing Take-Two and Rockstar to serve the Pinkertons with the lawsuit before April 12, 2019. They never bothered to file a Motion for Extension of Time to Perfect Service. Instead, they simply voluntarily dismissed the case a day before the judge would've thrown it out. So, what's the point? It was probably meant to preemptively defend themselves should the Pinkertons file a proper lawsuit. Getting the declaratory judgment action out there as soon as possible made Take-Two and Rockstar look innocent and willing to fight back. Behind the scenes, both parties surely decided that this matter wasn't going anywhere -- each side stipulating to pull their action before anything formal needed to be done. They might've both agreed to duel at high noon, but the Pinkertons only brought a gun and no bullets. That won't get you far in a firefight. Now, everyone rides off into the sunset, whether they're happy or not.